Welcome to week six of Comics I Read Last Week, the weekly feature where I talk about comics I read last week. Pretty obvious really. It's supposed to go up on a Wednesday, but sometimes stuff happens. Stuff happened this week and that's why this one's going up on a Thursday. Stuff happens way too often. Charles “Zan” Christensen, Adam Pruett, Agnes Czaja, Alex Dahm, Amy T. Falcone, Ashley Cook & Caroline Hobbs, Bill Roundy, Ellen Forney, Erika Moen, Jason A. Quest, Jason Thompson, John Lustig, Jon Macy, Josh Trujillo & Dave Valeza, Kate Leth, Kevin Boze, Leanne Franson, Leia Weathington, Lena H. Chandhok, Margreet de Heer, MariNaomi, Maurice Vellekoop, Melaina, Nick Leonard, Powflip, Randall Kirby, Roberta Gregory, Sam Orchard, Sam Saturday, Stasia Burrington, Steve Orlando, Tania Walker, Tara Madison Avery, Mike Sullivan. It's a good thing the page for Anything That Loves on Northwest Press's website had that list of contributors on it, because I did not fancy typing all those names out myself. 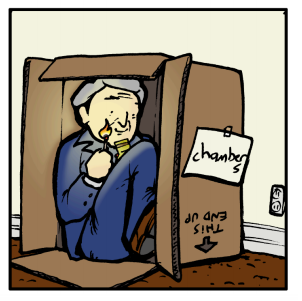 This is another one I grabbed in digital form on Kickstarter for the massive sum of ten dollars, which is actually one cent more than it currently costs to get a digital copy of it. I feel ever so slightly cheated, but only slightly. 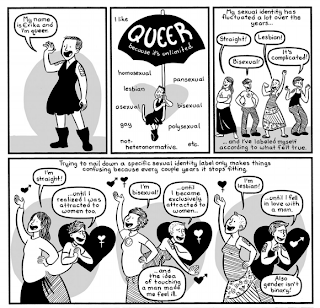 There are two reasons I decided to back this anthology. One is Sam Orchard. The other is Erika Moen. I'm a big fan of both of them. With both of them on board there was no way I wasn't going to pick this up. Obviously, being fans of theirs already, their work was some of the highlights of the book for me, but other things that really stood out in a very good way included Kate Leth's illustrated lessons (her art style is adorable), Ashley Cook and Caroline Hobbs' tale about merpeople and humans and Lena H. Chandhok's 'Comics Made Me Queer'. 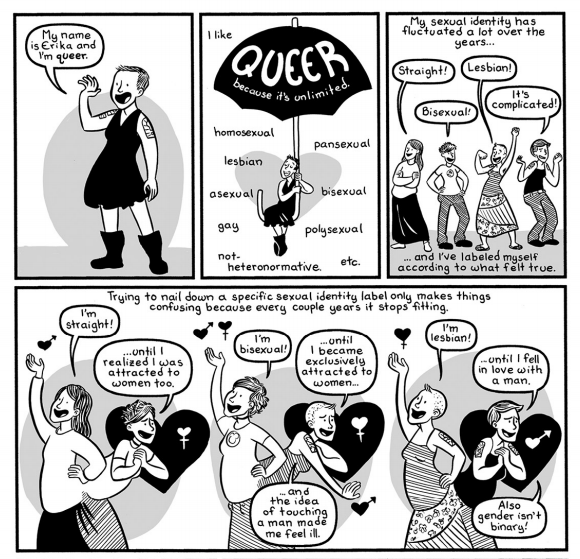 That's the comic I grabbed those five panels down below this paragraph from if you're wondering. 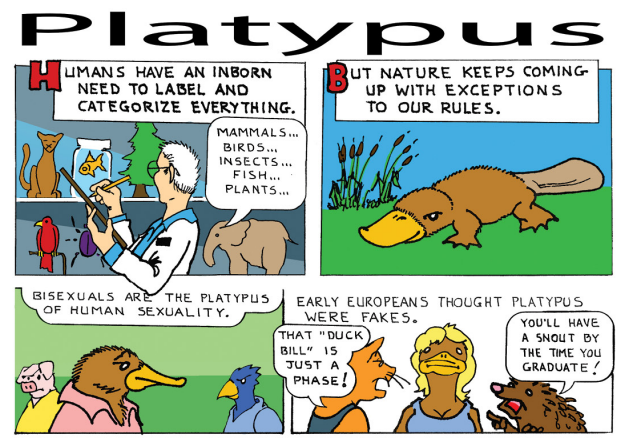 Kevin Boze's Platypus is another good one. 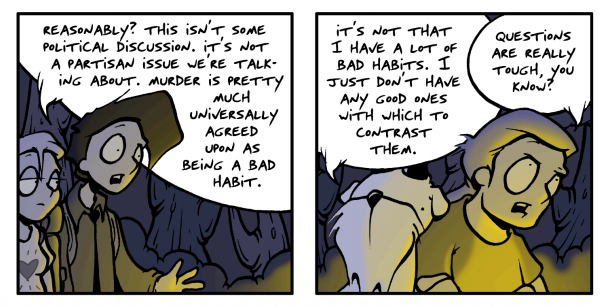 The last panel (which I cut off along with the preceding four because I'm evil) made me smile. 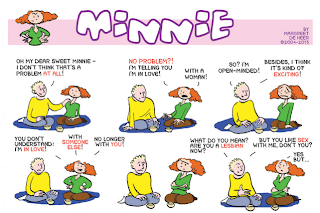 I really enjoyed Minnie, an ongoing series by Margreet de Heer and there's a full ten pages of that, so that's pretty cool. There's a neat nine page story by Leia Wethington called Bedfellows. 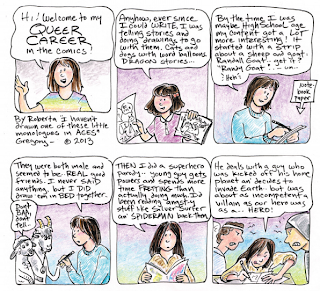 That was definitely another high point and Roberta Gregory's history of her career in comics is a must, whether or not you've ever read anything else by her. 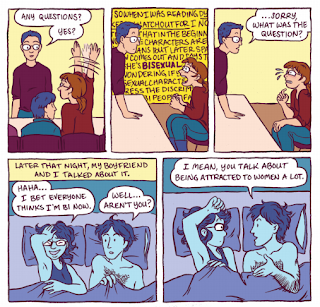 Finally, Amy T. Falcone's conversation with her younger self is kind of brilliant. There are some other really good comics as well and some that I didn't enjoy quite so much, but overall I think it was ten dollars well spent and I'd definitely suggest that other people check it out too. 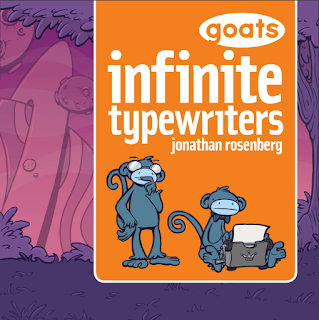 Goats is a now discontinued webcomic by Mr Jonathan Rosenberg, him who now writes and draws Scenes from a Multiverse. 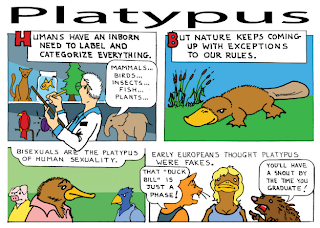 You should click that link and check it out, because it's very good. It is. Really, go open that up in another tab to read after you finish this blog entry. Infinite Typewriters is the first volume of the Infinite Pendergast Cycle (whatever that is) and the first colour volume of Goats. The comic starts with a Thor worshipping goat having a theological debate with a Satanist chicken. That's about the time the bug-eyed grey aliens point out that people on their planet worship pancakes and then the chicken goes and conveniently explains the previous plotline. Shortly after that an atheist and an agnostic have a fight about how sure they can be of the non-existence of God, so they take the ship belonging to the aforementioned bug-eyed grey aliens and go visit him for answers. After that it starts getting weird. There' a hiking trip to creepy abandoned town, an incident at a comic con, a bit of dimension hopping, multiple Hitlers, some pope outfits and some murders. There's a couple of those. Oh yes, and the chicken's engineered himself a son who may well be the most dangerous thing in the universe. 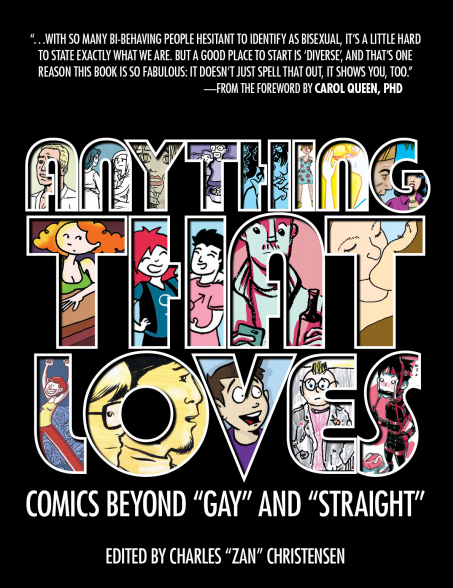 It's a good read, but not for the easily offended or the religious and moderately easily offended, but if you don't think that describes you and you like your comics on the wacky side then check it out. It's only $9 from the website and that's not bad for 171 pages of entertaining nonsense. Also if you decide not to read it you'll never know what on earth this panel's about, will you? I finally found my missing copy of this on Sunday. I actually started this the week before last, read about twenty pages and then misplaced it for a week and a half. I do stuff like that on an unfortunately regular basis. The story starts with a man named Daisuke Iko poking around on a scrap heap when he finds the head and partial torso of a very old cyborg. Surprisingly there's still a brain inside and despite being such a wreck it's what's left of the body is still keeping it alive. 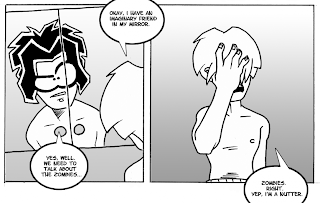 Iko takes her home, fixes her up and when it turns out she can't remember a thing about her life he names her Alita after his recently deceased cat. As you do. 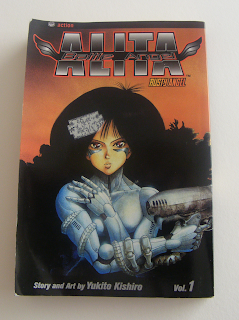 Battle Angel Alita is, as you might guess from the title a little bit on the violent side. When I say a little bit I mean there are exploding heads and people having limbs ripped off. Okay, those limbs are usually robotic, but you know, it's still not pleasant and quite a few people die. There's also a baby rescuing dog, which is nice. There's a weird thing, which I've noticed in anime before of huge characters getting bigger or smaller depending on the page. A character can be nine foot tall one moment, thirty feet the next and twelve feet in the scene after that. Volume one of Battle Angel Alita has that with the main villain. It's weird. I kind of get it, but it's still weird. Jazz and Jess is probably the longest running, non-defunct zombie webcomic in the whole entire universe. The site is unfortunately down at the moment. Hopefully it'll be back by the time you read this though, so try clicking the link anyway. 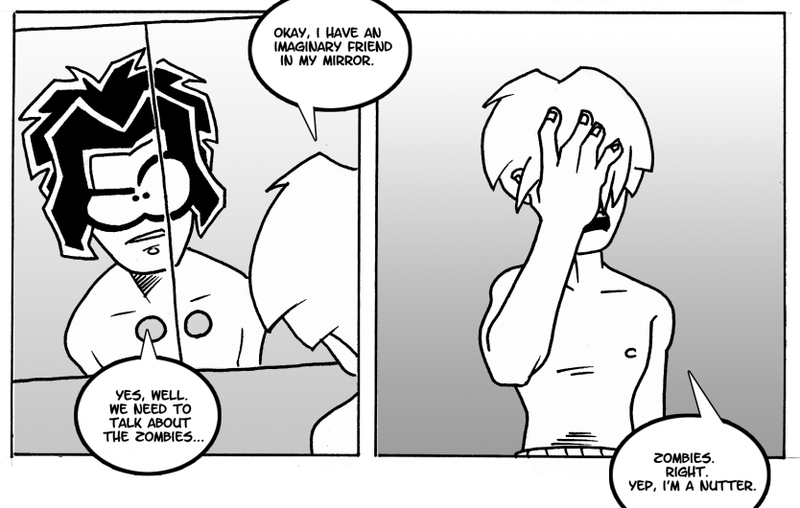 Memory Lost is a 12 page prequel comic that doesn't feature any zombies, but does feature Jess, Jazz, a cat and Jazz's imaginary friend, Evil Jazz. His imaginary friend is a bit weird. 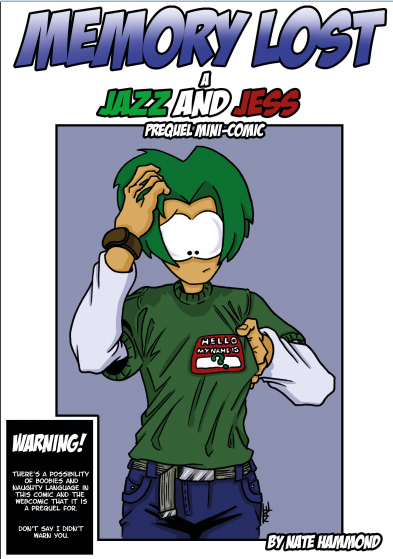 Jazz and Jess is a neat, unique looking comic and worth checking out. The prequel comic's only a pound as well, so well worth picking up if you enjoy the main comic (when it's back up). Here' one I've got to have read at least half a dozen times now. 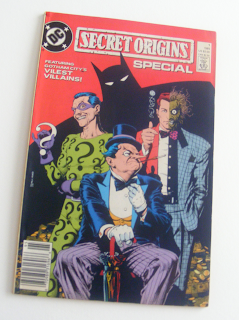 Released back in 1989, DC's Secret Origins Special is a pretty funky comic. Coming in at 53 pages excluding ads it consists of three individual stories wrapped in the larger story penned by Neil Gaiman about a TV film crew making a program about the costumed villains of Gotham. The first couple of pages concern Batman trying to warn off the guy in charge. This of course fails. It would have been a really short comic if it didn't. He wants to get the Joker on camera to give his story. Being a wanted serial killer though he's a little difficulte to find. 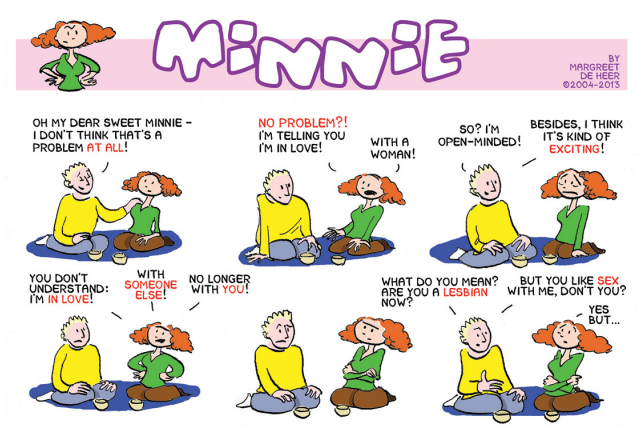 In fact everyone's a little difficult to find. That is, everyone other than Scarecrow who will only do the show if his segment can be a lecture titled "The Human Fight-or-Flight response re-evaluated when viewed as intrinsic to theatrical badinage, with specific reference to the latter plays of William Congreve (1670-1729)". For some crazy reason they decline his offer. They've also been banned from Arkham, so things aren't looking too great for them. 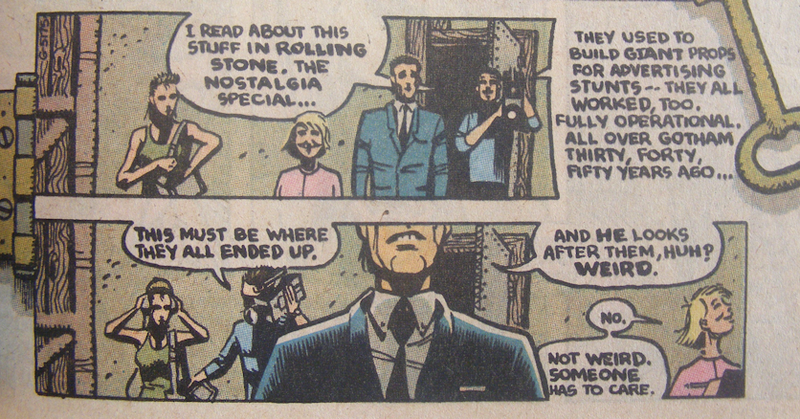 The only people they can find to see them throughout the whole thing are a former lackey of the Penguin called Knuckles, Two-Face's wife Grace Dent and some guy they've never heard of who just got out of prison and goes by the name of Eddie Nigma whoever that is. First up is the interview with Knuckles. 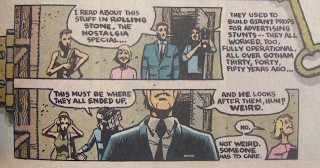 This section's written by Alan Grant and is the story of the time Penguin kidnapped a thug during a prison transfer and how it relates to how he became the bitter, hateful and downright dangerous individual he is today and despite what a certain movie might tell you it has nothing to do with being abandoned as a baby and left to be raised by penguins in an abandoned zoo where someone forgot to take the animals with them and yet they somehow managed not to starve to death or maybe it was clowns. Clowns in an abandoned zoo? Clowns need feeding too, right? It's been a while since I've seen it. I might not be remembering it right. Next up is Gaiman's Riddler story. 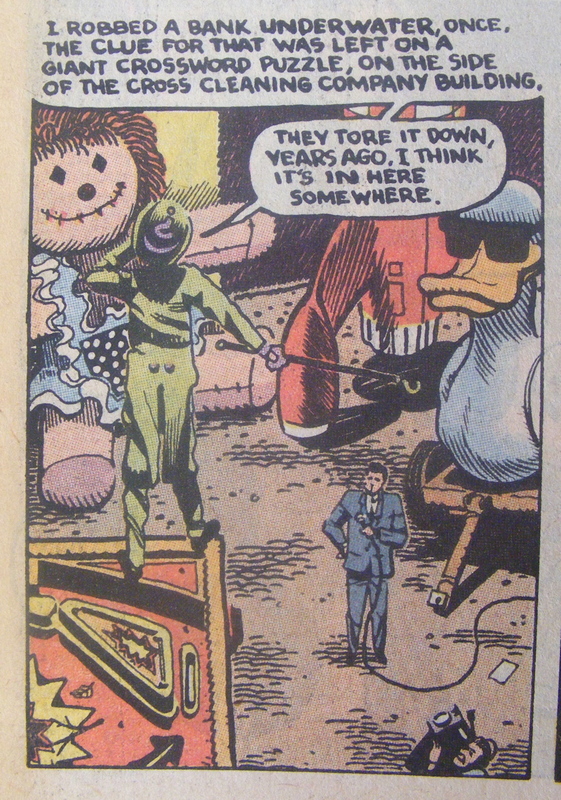 Nigma, who won't confirm whether or not that's really his name, has been out of jail for a year and is now a reformed character, holding down a regular job as caretaker of Finger Yard, the final resting place of all those wacky giant props and that's where he wants to do his interview. Of course exactly how reformed he really is, well, that's a matter of opinion. Dressing up in his old costume and reminiscing about the good old days doesn't necessarily bode well. There's a fantastic bit in his interview where he talks fondly about the various villains that were around back in his day. It was all fun and games back then. People didn't get killed by their antics. It was all a bit ridiculous, a bit harmless. It's as much the musings of a fan wondering where the comics he used to enjoy are as anything else. As he says "Did I miss something? Was I away when they changed the rules?" Next up is Grace Dent's story written by Mark Verheiden where we find out about the time a villain put away by good old district attorney Harvey Dent comes back for revenge after years in self-imposed solitary confinement and bites off slightly more than he expected when he decides to go through Grace to do it. You've got to feel sorry for Grace, still living in the home that the two of them moved into together, still hoping and believing that Harvey will get better and come back one day. Finally, the issue wrap up with the end of the show and a bit of street reporting, asking various passers by in Gotham what they think about the costumed loonies, including a certain cigarette smoking, blond haired, trench-coat wearing English tourist. Of course there's also a bit of a twist at the end, but I won't spoil it. Come back next Wednesday where I'll be talking about ponies, magical girls, a badger, a cursed fox and more Batman.